"7/7" and "2005 London bombings" redirect here. For the calendar date, see 7 July. For the bombings that happened two weeks later, see 21 July 2005 London bombings. For other bombings in London, see London attack. The 7 July 2005 London bombings, often referred to as 7/7, were a series of coordinated terrorist suicide attacks in London, United Kingdom, which targeted commuters travelling on the city's public transport system during the morning rush hour. Four radical Islamic terrorists separately detonated three homemade bombs in quick succession aboard London Underground trains across the city and, later, a fourth on a double-decker bus in Tavistock Square. The train bombings occurred on the Circle line near Aldgate and at Edgware Road, and on the Piccadilly line near Russell Square. Fifty-two people of 18 different nationalities, all of whom were UK residents, were killed, and more than 700 were injured in the attacks, making it Britain's deadliest terrorist incident since the 1988 bombing of Pan Am Flight 103 near Lockerbie, Scotland, and England's deadliest since the 1974 Birmingham pub bombings, as well as the country's first Islamist suicide attack. The explosions were caused by triacetone triperoxide-based IEDs packed into backpacks. The bombings were followed two weeks later by a series of attempted attacks that failed to cause injury or damage. The 7 July attacks occurred the day after London had won its bid to host the 2012 Olympic Games. The first bomb exploded on a six-car London Underground C69 and C77 Stock Circle line sub-surface train, number 204, travelling eastbound between Liverpool Street and Aldgate. The train had left King's Cross St Pancras about eight minutes earlier. At the time of the explosion, the train's third car was approximately 100 yards (90 m) along the tunnel from Liverpool Street. The parallel track of the Hammersmith & City line between Liverpool Street and Aldgate East was also damaged in the blast. The second bomb exploded in the second car of another six-car London Underground C69 and C77 Stock Circle line sub-surface train, number 216, which had just left platform 4 at Edgware Road and was travelling westbound towards Paddington. The train had left King's Cross St Pancras about eight minutes previously. There were several other trains nearby at the time of the explosion; an eastbound Circle line train (arriving at platform 3 at Edgware Road from Paddington) was passing next to the bombed train and was damaged, as was a wall that later collapsed. Two other trains were at Edgware Road: an unidentified train on platform 2 and a southbound Hammersmith & City line service that had just arrived at platform 1. A third bomb was detonated on a 6-car London Underground 1973 Stock Piccadilly line deep-level Underground train, number 311, travelling southbound from King's Cross St Pancras to Russell Square. The device exploded approximately one minute after the service departed King's Cross, by which time it had travelled about 500 yards (450 m). The explosion occurred at the rear of the first car of the train—number 166—causing severe damage to the rear of that car as well as the front of the second one. The surrounding tunnel also sustained damage. It was originally thought that there had been six, rather than three, explosions on the Underground network. The bus bombing brought the reported total to seven; this was clarified later in the day. The erroneous reporting can be attributed to the fact that the blasts occurred on trains that were between stations, causing wounded passengers to emerge from both stations, giving the impression that there was an incident at each. Police also revised the timings of the tube blasts: initial reports had indicated that they occurred during a period of almost half an hour. This was due to initial confusion at London Underground (LU), where the explosions were originally believed to have been caused by power surges. An early report, made in the minutes after the explosions, involved a person under a train, while another described a derailment (both of which did occur, but only as a result of the explosions). A code amber alert was declared by LU at 09:19, and LU began to cease the network's operations, ordering trains to continue only to the next station and suspending all services. The Circle line is a "cut and cover" sub-surface tunnel, about 7 m (21 ft) deep. As the tunnel contains two parallel tracks, it is relatively wide. 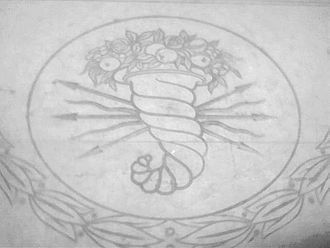 The two explosions on the Circle line were probably able to vent their force into the tunnel, reducing their destructive force. The Piccadilly line is a deep-level tunnel, up to 30 m (100 ft) below the surface and with narrow (3.56 m, or 11 ft 8¼ in) single-track tubes and just 15 cm (6 in) clearances. This confined space reflected the blast force, concentrating its effect. Almost one hour after the attacks on the London Underground, a fourth bomb was detonated on the top deck of a number 30 double-decker bus, a Dennis Trident 2 (fleet number 17758, registration LX03 BUF, two years in service at the time) operated by Stagecoach London and travelling its route from Marble Arch to Hackney Wick. Earlier, the bus had passed through the King's Cross area as it travelled from Hackney Wick to Marble Arch. At its final destination, the bus turned around and started the return route to Hackney Wick. It left Marble Arch at 9 am and arrived at Euston bus station at 9:35 am, where crowds of people had been evacuated from the tube and were boarding buses. The explosion at 9:47 am in Tavistock Square ripped off the roof and destroyed the rear portion of the bus. The blast took place near BMA House, the headquarters of the British Medical Association, on Upper Woburn Place. A number of doctors and medical staff in or near that building were able to provide immediate emergency assistance. Witnesses reported seeing "half a bus flying through the air". BBC Radio 5 Live and The Sun later reported that two injured bus passengers said that they saw a man exploding in the bus. The location of the bomb inside the bus meant the front of the vehicle remained mostly intact. Most of the passengers at the front of the top deck survived, as did those near the front of the lower deck, including the driver, but those at the rear of the bus suffered more serious injuries. The extent of the damage caused to the victims' bodies resulted in a lengthy delay in announcing the death toll from the bombing while the police determined how many bodies were present and whether the bomber was one of them. Several passers-by were also injured by the explosion and surrounding buildings were damaged by debris. The bombed bus was subsequently covered with tarpaulin and removed by low-loader for forensic examination at a secure Ministry of Defence site. The vehicle was ultimately returned to Stagecoach and scrapped thereafter on 15 October 2009. A replacement bus, a new Alexander Dennis Enviro400 (fleet number 18500, which has been changed since to 19000, registration LX55 HGC), was named "Spirit of London". In October 2012, the "Spirit of London" bus was set alight in an arson attack. It was repaired and refurbished at a cost of £60,000 and re-entered service in April 2013. Two 14-year-old girls were charged for the attack. The 52 victims were of diverse backgrounds; among them were several foreign-born British nationals and foreign exchange students. 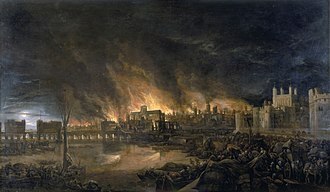 The majority of the victims lived in or near London. Because of train delays before the attacks and subsequent transport problems caused by them, several victims died aboard trains and buses they would not normally have taken. Their ages ranged from 20 to 60 years old, with an average age of 34. All of the victims were UK residents; 32 of them were British. One victim each came from Afghanistan, France, Ghana, Grenada, India, Iran, Israel, Italy, Kenya, Mauritius, New Zealand, Nigeria, Romania, Sri Lanka, and Turkey. Three victims were Polish nationals, while one victim held dual Australian-Vietnamese citizenship and one held dual American-Vietnamese citizenship. Seven of the victims were killed at Aldgate, six at Edgware Road, 26 at King's Cross and 13 at Tavistock Square. Three of the bombers were British-born sons of Pakistani immigrants; Lindsay was a convert born in Jamaica. Charles Clarke, Home Secretary when the attacks occurred, described the bombers as "cleanskins", a term describing them as previously unknown to authorities until they carried out their attacks. On the day of the attacks, all four had travelled to Luton, Bedfordshire, by car, then to London by train. They were recorded on CCTV arriving at King's Cross station at about 08:30 am. I and thousands like me are forsaking everything for what we believe. Our drive and motivation doesn't come from tangible commodities that this world has to offer. Our religion is Islam, obedience to the one true God and following the footsteps of the final prophet messenger. Your democratically-elected governments continuously perpetuate atrocities against my people all over the world. And your support of them makes you directly responsible, just as I am directly responsible for protecting and avenging my Muslim brothers and sisters. Until we feel security you will be our targets and until you stop the bombing, gassing, imprisonment and torture of my people we will not stop this fight. We are at war and I am a soldier. Now you too will taste the reality of this situation. ...I myself, I myself, I make dua (pray) to Allah ... to raise me amongst those whom I love like the prophets, the messengers, the martyrs and today's heroes like our beloved Sheikh Osama Bin Laden, Dr Ayman al-Zawahri and Abu Musab al-Zarqawi and all the other brothers and sisters that are fighting in the ... of this cause. What you have witnessed now is only the beginning of a string of attacks that will continue and become stronger until you pull your forces out of Afghanistan and Iraq. And until you stop your financial and military support to America and Israel. Tanweer argued that the non-Muslims of Britain deserve such attacks because they voted for a government which "continues to oppress our mothers, children, brothers and sisters in Palestine, Afghanistan, Iraq and Chechnya." Initial reports suggested that a power surge on the Underground power grid had caused explosions in power circuits. This was later ruled out by power suppliers National Grid. Commentators suggested that the explanation had been made because of bomb damage to power lines along the tracks; the rapid series of power failures caused by the explosions (or power being ended by means of switches at the locations to permit evacuation) looked similar, from the point of view of a control room operator, to a cascading series of circuit breaker operations that would result from a major power surge. A couple of hours after the bombings, Home Secretary Charles Clarke confirmed the incidents were terrorist attacks. Although there were security alerts at many locations throughout the United Kingdom, no other terrorist incidents occurred outside central London. Suspicious packages were destroyed in controlled explosions in Edinburgh, Brighton, Coventry, Southampton, Portsmouth, Darlington and Nottingham. Security across the country was increased to the highest alert level. The Times reported on 17 July 2005 that police sniper units were following as many as a dozen al-Qaeda suspects in Britain. The covert armed teams were ordered to shoot to kill if surveillance suggested that a terror suspect was carrying a bomb and he refused to surrender if challenged. A member of the Metropolitan Police's Specialist Firearms Command said: "These units are trained to deal with any eventuality. Since the London bombs they have been deployed to look at certain people." Vodafone reported that its mobile telephone network reached capacity at about 10 am on the day of the bombings, and it was forced to initiate emergency procedures to prioritise emergency calls (ACCOLC, the 'access overload control'). Other mobile phone networks also reported failures. The BBC speculated that the telephone system was shut down by security services to prevent the possibility of mobile phones being used to trigger bombs. Although this option was considered, it became clear later that the intermittent unavailability of both mobile and landline telephone systems was due only to excessive usage. ACCOLC was activated only in a 1 km (0.6 mi) radius around Aldgate Tube Station because key emergency personnel did not have ACCOLC-enabled mobile phones. The communications failures during the emergency sparked discussions to improve London's emergency communications system. 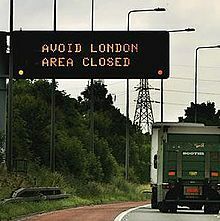 A sign on the M25 London orbital road warns drivers to avoid the city. For most of the day, central London's public transport system was largely out of service following the complete closure of the Underground, the closure of the Zone 1 bus network, and the evacuation of incident sites such as Russell Square. Bus services restarted at 4 pm on 7 July, and most mainline railway stations resumed service soon afterward. River vessels were pressed into service to provide a free alternative to overcrowded trains and buses. Local lifeboats were required to act as safety boats, including the Sheerness lifeboat from the Isle of Sheppey in Kent. Thousands of people chose to walk home or to the nearest Zone 2 bus or railway station. Most of the Underground, apart from the stations affected by the bombs, resumed service the next morning, though some commuters chose to stay at home. Affected stretches were also closed for police investigations. Much of the King's Cross railway station was also closed, with the ticket hall and waiting area being used as a makeshift hospital to treat casualties. Although the station reopened later during the day, only suburban rail services were able to use it, with Great North Eastern Railway trains terminating at Peterborough (the service was fully restored on 9 July). King's Cross St Pancras tube station remained available only to Metropolitan line services to facilitate the ongoing recovery and investigation for a week, though Victoria line services were restored on 15 July and the Northern line on 18 July. All the damaged trains were basically removed in stages. St. Pancras station, located next to King's Cross, was shut on the afternoon of the attacks, with all Midland Mainline trains terminating at Leicester, causing disruption to services to Sheffield, Nottingham and Derby. On 25 July, the Hammersmith & City line was reopened from Baker Street to Barking after the affected train was cleared at Aldgate, together with the stretch from Moorgate to Aldgate of the Metropolitan Line. The Hammersmith to Paddington part of the Hammersmith & City line was a shuttle service after the bombings. On 29 July, the District line was reopened from High Street Kensington to Edgware Road, after the affected train was cleared. On 2 August the Hammersmith & City line resumed normal service; the Circle line was still suspended, though all Circle line stations are also served by other lines. The Piccadilly line service resumed on 4 August after the affected train was cleared on 16 July, and enhanced maintenance work was done. On 4 August, the Circle line was reopened again. There were limited reactions to the attack in the world economy as measured by financial market and exchange rate activity. The value of the British pound decreased 0.89 cents to a 19-month low against the US dollar. The FTSE 100 Index fell by about 200 points during the two hours after the first attack. This was its greatest decrease since the invasion of Iraq, and it triggered the London Stock Exchange's 'Special Measures', restricting panic selling and aimed at ensuring market stability. By the time the market closed it had recovered to only 71.3 points (1.36%) down on the previous day's three-year closing high. Markets in France, Germany, the Netherlands and Spain also closed about 1% down on the day. US market indexes increased slightly, partly because the dollar index increased sharply against the pound and the euro. The Dow Jones Industrial Average gained 31.61 to 10,302.29. The NASDAQ Composite Index increased 7.01 to 2075.66. The S&P 500 increased 2.93 points to 1197.87 after decreasing as much as 1%. Every benchmark value gained 0.3%. The market values increased again on 8 July as it became clear that the damage caused by the bombings was not as great as thought initially. By end of trading the market had recovered fully to above its level at start of trading on 7 July. Insurers in the UK tend to reinsure their terrorist liabilities in excess of the first £75,000,000 with Pool Re, a mutual insurer established by the government with major insurers. Pool Re has substantial reserves and newspaper reports indicated that claims would easily be funded. On 9 July, the Bank of England, HM Treasury and the Financial Services Authority revealed that they had instigated contingency plans immediately after the attacks to ensure that the UK financial markets could keep trading. This involved the activation of a "secret chatroom" on the British government's Financial Sector Continuity website, which allowed the institutions to communicate with the country's banks and market dealers. Continuous news coverage of the attacks was broadcast throughout 7 July, by both BBC One and ITV1, uninterrupted until 7 p.m. Sky News did not broadcast any advertisements for 24 hours. ITN confirmed later that its coverage on ITV1 was its longest uninterrupted on-air broadcast of its 50-year history. Television coverage was notable for the use of mobile telephone footage sent in by members of the public and live pictures from traffic CCTV cameras. The BBC Online website recorded an all-time bandwidth peak of 11 Gb/s at midday on 7 July. BBC News received some 1 billion total accesses throughout the course of the day (including all images, text and HTML), serving some 5.5 terabytes of data. At peak times during the day there were 40,000-page requests per second for the BBC News website. The previous day's announcement of the 2012 Summer Olympics being awarded to London resulted in up to 5 Gb/s. The previous all time maximum for the website followed the announcement of the Michael Jackson verdict, which used 7.2 Gb/s. On 12 July it was reported that the British National Party released leaflets showing images of the 'No. 30 bus' after it was destroyed. The slogan, "Maybe now it's time to start listening to the BNP" was printed beside the photo. Home Secretary Charles Clarke described it as an attempt by the BNP to "cynically exploit the current tragic events in London to further their spread of hatred". Some media outside the UK complained that successive British governments had been unduly tolerant towards radical Islamist militants, so long as they were involved in activities outside the UK. Britain's alleged reluctance to extradite or prosecute terrorist suspects resulted in London being dubbed Londonistan by the columnist Melanie Phillips. Even before the identity of the bombers became known, former Metropolitan Police commissioner Lord Stevens said he believed they were almost certainly born or based in Britain, and would not "fit the caricature al-Qaeda fanatic from some backward village in Algeria or Afghanistan". The attacks would have required extensive preparation and prior reconnaissance efforts, and a familiarity with bomb-making and the London transport network as well as access to significant amounts of bomb-making equipment and chemicals. Some newspaper editorials in Iran blamed the bombing on British or American authorities seeking to further justify the War on Terror, and claimed that the plan that included the bombings also involved increasing harassment of Muslims in Europe. On 13 August 2005, quoting police and MI5 sources, The Independent reported that the bombers acted independently of an al-Qaeda terror mastermind some place abroad. 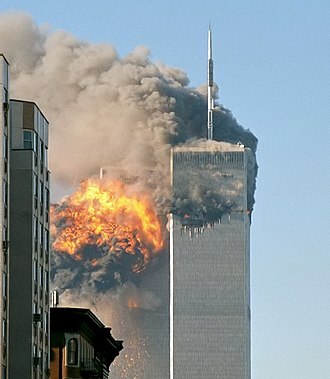 On 1 September it was reported that al-Qaeda officially claimed responsibility for the attacks in a videotape broadcast by the Arab television network Al Jazeera. However, an official inquiry by the British government reported that the tape claiming responsibility had been edited after the attacks, and that the bombers did not have direct assistance from al-Qaeda. Zabi uk-Taifi, an al-Qaeda commander arrested in Pakistan in January 2009, may have had connections to the bombings, according to Pakistani intelligence sources. More recently, documents found by German authorities on a terrorist suspect arrested in Berlin in May 2011 have suggested that Rashid Rauf, a British al Qaeda operative, played a key role in planning the attacks. A second claim of responsibility was posted on the Internet by another al-Qaeda-linked group, Abu Hafs al-Masri Brigades. The group had, however, previously falsely claimed responsibility for events that were the result of technical problems, such as the 2003 London blackout and the US Northeast blackout of 2003. 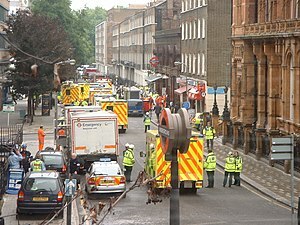 Police cordon off Russell Square on 7 July 2005. A survey of 500 British Muslims undertaken by Channel 4 News in 2007 found that 24% believed the four bombers blamed for the attacks did not perform them. There have been various conspiracy theories proposed about the bombings, including the suggestion that the bombers were 'patsies', based on claims about timings of the trains and the train from Luton, supposed explosions underneath the carriages, and allegations of the faking of the one time-stamped and dated photograph of the bombers at Luton station. Claims made by one theorist in the Internet video 7/7 Ripple Effect were examined by the BBC documentary series The Conspiracy Files, in an episode titled "7/7" first broadcast on 30 June 2009, which debunked many of the video's claims. On the day of the bombings Peter Power of Visor Consultants gave interviews on BBC Radio 5 Live and ITV saying that he was working on a crisis management simulation drill, in the City of London, "based on simultaneous bombs going off precisely at the railway stations where it happened this morning", when he heard that an attack was going on in real life. He described this as a coincidence. He also gave an interview to the Manchester Evening News where he spoke of "an exercise involving mock broadcasts when it happened for real". After a few days he dismissed it as a "spooky coincidence" on Canadian TV. Initially, there was much confused information from police sources as to the origin, method, and even timings of the explosions. Forensic examiners had thought initially that military-grade plastic explosives were used, and, as the blasts were thought to have been simultaneous, that synchronised timed detonators were employed. This hypothesis changed as more information became available. Home-made organic peroxide-based devices were used, according to a May 2006 report from the British government's Intelligence and Security Committee. The explosive was triacetone triperoxide. 56 people, including the four suicide bombers, were killed by the attacks and about 700 were injured, of whom about 100 were hospitalised for at least one night. The incident was the deadliest single act of terrorism in the United Kingdom since the 1988 bombing of Pan Am Flight 103, which crashed on Lockerbie and killed 270 people, and the deadliest bombing in London since the Second World War. Police examined about 2,500 items of CCTV footage and forensic evidence from the scenes of the attacks. The bombs were probably placed on the floors of the trains and bus. Investigators identified four men who they alleged had been the suicide bombers. This made the bombings the first ever suicide attack in the British Isles. Vincent Cannistraro, former head of the Central Intelligence Agency's anti-terrorism centre, told The Guardian that "two unexploded bombs" were recovered as well as "mechanical timing devices"; this claim was explicitly rejected by London's Metropolitan Police Service. West Yorkshire Police raided six properties in the Leeds area on 12 July: two houses in Beeston, two in Thornhill, one in Holbeck and one in Alexandra Grove in Hyde Park, Leeds. One man was arrested. Officers also raided a residential property on Northern Road in the Buckinghamshire town of Aylesbury on 13 July. The police service say a significant amount of explosive material was found in the Leeds raids and a controlled explosion was carried out at one of the properties. Explosives were also found in the vehicle associated with one of the bombers, Shehzad Tanweer, at Luton railway station and subjected to controlled explosion. There was speculation about a possible association between the bombers and another alleged Islamist cell in Luton which was ended during August 2004. The Luton group was uncovered after Muhammad Naeem Noor Khan was arrested in Lahore, Pakistan. His laptop computer was said to contain plans for tube attacks in London, as well as attacks on financial buildings in New York City and Washington, D.C. The group was subject to surveillance but on 2 August 2004 The New York Times published Khan's name, citing Pakistani sources. The news leak forced police in Britain and Canada to make arrests before their investigations were complete. The US government later said they had given the name to some journalists as "background information", for which Tom Ridge, the United States Secretary of Homeland Security, apologised. When the Luton cell was ended, one of the London bombers, Mohammad Sidique Khan (no known relation), was scrutinised briefly by MI5 who determined that he was not a likely threat and he was not surveilled. On 22 March 2007, three men were arrested in connection with the bombings. Two were arrested at 1 pm at Manchester Airport, attempting to board a flight bound for Pakistan that afternoon. They were apprehended by undercover officers who had been following the men as part of a surveillance operation. They had not intended to arrest the men that day, but believed they could not risk letting the suspects leave the country. A third man was arrested in the Beeston area of Leeds at an address on the street where one of the suicide bombers had lived before the attacks. On 9 May 2007 police made four further arrests, three in Yorkshire and one in Selly Oak, Birmingham. The widow of the presumed ringleader Mohammed Sidique Khan, was among those arrested for "commissioning, preparing or instigating acts of terrorism". Three of those arrested, including Khan's widow, were released on 15 May. The fourth, Khalid Khaliq, an unemployed single father of three, was charged on 17 July 2007 with possessing an al-Qaeda training manual, but the charge was not related to the 2005 London attacks. Conviction for possession of a document containing information likely to be useful to a person committing or preparing an act of terrorism carried a maximum ten-year jail sentence. Abdullah el-Faisal was deported to Jamaica, his country of origin, from Britain on 25 May 2006 after reaching the parole date in his prison sentence. He was found guilty of three charges of soliciting the murder of Jews, Americans and Hindus and two charges of using threatening words to incite racial hatred in 2003 and, despite an appeal, was sentenced to seven years imprisonment. In 2006 John Reid alleged to MPs that el-Faisal had influenced Jamaican-born Briton Germaine Lindsay into participating in the 7/7 bombings. The Guardian reported on 3 May 2007 that police had investigated Mohammad Sidique Khan twice during 2005. The newspaper said it "learned that on 27 January 2005, police took a statement from the manager of a garage in Leeds which had loaned Khan a courtesy car while his vehicle was being repaired." It also said that "on the afternoon of 3 February an officer from Scotland Yard's anti-terrorism branch carried out inquiries with the company which had insured a car in which Khan was seen driving almost a year earlier". Nothing about these inquiries appeared in the report by Parliament's intelligence and security committee after it investigated the 7 July attacks. Scotland Yard described the 2005 inquiries as "routine", while security sources said they were related to the fertiliser bomb plot. While no warnings before 7 July bombings have been documented officially or acknowledged, the following are sometimes quoted as indications either of the events to come or of some foreknowledge. One of the London bombers, Mohammad Sidique Khan, was briefly scrutinised by MI5 who determined that he was not a likely threat and he was not put under surveillance. Some news stories, current a few hours after the attacks, questioned the British government's contention that there had not been any warning or prior intelligence. It was reported by CBS News that a senior Israeli official said that British police told the Israeli embassy in London minutes before the explosions that they had received warnings of possible terror attacks in the UK capital. An AP report used by a number of news sites, including The Guardian, attributed the initial report of a warning to an Israeli "Foreign Ministry official, speaking on condition of anonymity", but added Foreign Minister Silvan Shalom's later denial on Israel Defense Forces Radio: "There was no early information about terrorist attacks." A similar report on the site of right-wing Israeli paper Israel National News/Arutz Sheva attributed the story to "Army Radio quoting unconfirmed reliable sources." Although the report has been retracted, the original stories are still circulated as a result of their presence on the news websites' archives. In an interview with the Portuguese newspaper Público a month after the 2004 Madrid train bombings, Syrian-born cleric Omar Bakri Muhammad warned that "a very well-organised" London-based group which he called "al-Qaeda Europe" was "on the verge of launching a big operation." In December 2004, Bakri vowed that, if Western governments did not change their policies, Muslims would give them "a 9/11, day after day after day." According to a 17 November 2004 post on the Newsweek website, US authorities in 2004 had evidence that terrorists were planning a possible attack in London. In addition, the article stated that, "fears of terror attacks have prompted FBI agents based in the U.S. embassy in London to avoid travelling on London's popular underground railway (or tube) system." In an interview published by the German magazine Bild am Sonntag dated 10 July 2005, Meir Dagan, director of the Israeli intelligence agency Mossad, said that the agency's office in London was alerted to the impending attack at 8:43 am, six minutes before the first bomb detonated. The warning of a possible attack was a result of an investigation into an earlier terrorist bombing in Tel Aviv, which may have been related to the London bombings. The Daily Telegraph reported that radical imam Anwar al-Awlaki had inspired the bombers. The bombers transcribed lectures of al-Awlaki while plotting the bombings. His materials were found in the possession of accused accomplices of the suicide bombers. Al-Awlaki was killed by a US drone attack in 2011. In 2006, the government refused to hold a public inquiry, stating that "it would be a ludicrous diversion". Prime Minister Tony Blair said an independent inquiry would "undermine support" for MI5, while the leader of the opposition, David Cameron, said only a full inquiry would "get to the truth". In reaction to revelations about the extent of security service investigations into the bombers prior to the attack, the Shadow Home Secretary, David Davis, said: "It is becoming more and more clear that the story presented to the public and Parliament is at odds with the facts." The decision to not hold an independent public inquest was later reversed and in October 2010 an independent coroner's inquest of the bombings began. Lady Justice Hallett was appointed to hear the inquest, which would consider how each victim died and whether MI5, if it had worked better, could have prevented the attack, and also the emergency service response. After seven months of evidence and deliberation, the verdict of the inquiry was released and read in the Houses of Parliament on 9 May 2011. 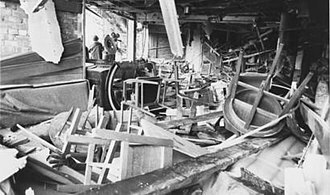 It determined that the 52 victims had been unlawfully killed; their deaths could not have been prevented, and they would probably have died "whatever time the emergency services reached and rescued them". Hallett concluded that MI5 had not made every possible improvement since the attacks but that it was not "right or fair" to say more attention should have been paid to ringleader Mohammad Sidique Khan prior to 7 July. She also decided that there should be no public inquiry. With reference to a photograph of Khan and Shehzad Tanweer which was so badly cropped by MI5 that the pair was virtually unrecognisable to the US authorities asked to review it, the inquiry recommended that procedures be improved so that humans asked to view photographs are shown them in best possible quality. In relation to the suggestion that MI5 failed to realise the suspects were important quickly enough, the inquiry recommended that MI5 improves the way it records decisions relating to suspect assessment. The inquiry recommended that 'major incident' training for all frontline staff, especially those working on the Underground, is reviewed. With regards to the facts that London Underground (LU) is unable to declare a 'major incident' itself and that LU was not invited to an emergency meeting at Scotland Yard at 10:30 am on the morning of the bombings, the inquiry recommends that the way Transport for London (TfL) and the London resilience team are alerted to major incidents and the way the emergency services are informed is reviewed. In response to the evidence that some firefighters refused to walk on the tracks at Aldgate to reach the bombed train because they had not received confirmation that the electric current had been switched off, the inquiry recommended a review into how emergency workers confirm whether the current is off after a major incident. A recommendation was made that TfL reviewed the provision of stretchers and first aid equipment at Underground stations. Training of London Ambulance Service (LAS) staff of "multi-casualty triage" should be reviewed, following concerns in the inquest that some casualties were not actually treated by paramedics who had triaged them. A final recommendation was made to the Department of Health, the Mayor of London and the London resilience team to review the capability and funding of emergency medical care in the city. It was reported in July 2011 that relatives of some of the victims of the bombings may have had their telephones accessed by the News of the World in the aftermath of the attacks. The revelations added to an existing controversy over phone hacking by the tabloid newspaper. The fathers of two victims, one in the Edgware Road blast and another at Russell Square, told the BBC that police officers investigating the alleged hacking had warned them that their contact details were found on a target list, while a former firefighter who helped injured passengers escape from Edgware Road also said he had been contacted by police who were looking into the hacking allegations. A number of survivors from the bombed trains also revealed that police had warned them their phones may have been accessed and their messages intercepted, and in some cases officers advised them to change security codes and PINs. Since the bombings, the United Kingdom and other nations have honoured the victims in several ways. Most of these memorials have included moments of silence, candlelit vigils, and the laying of flowers at the attack sites. Foreign leaders have also remembered the dead by ordering their flags to be flown at half-mast, signing books of condolences at embassies of the UK, and issuing messages of support and condolences to the British people. The government ordered the Union Flag to be flown at half-mast on 8 July. The following day, the Bishop of London led prayers for the victims during a service paying tribute to the role of women during the Second World War. A vigil, called by the Stop the War Coalition, Campaign for Nuclear Disarmament and Muslim Association of Britain, was held from 5 pm, at Friends Meeting House on Euston Road. A two-minute silence was held on 14 July 2005 throughout Europe. Thousands attended a vigil at 6 pm on Trafalgar Square. After an initial silence there was a series of speakers for two hours. A memorial service was held at St Paul's Cathedral on 1 November 2005. To mark the first anniversary of the attack, a two-minute silence was observed at midday across the country. A permanent memorial was unveiled in 2009 by Prince Charles in Hyde Park to mark the fourth anniversary of the bombings. On the eve of the ninth anniversary of the attacks in 2014 the memorial was defaced with messages including "Blair lied, thousands died". The graffiti was removed within hours. During the opening ceremony of the 2012 Olympic Games in London a minute's silence was held to commemorate those killed in the attacks. A memorial service was held in St. Paul's Cathedral on 7 July 2015, to mark the 10th anniversary of the bombings. This was broadcast on BBC One. US President George W. Bush visited the British embassy the day after the bombings, upon his return from the G8 summit in Scotland, and signed a book of condolence. In Washington, D.C., the US Army band played "God Save the Queen" (the British national anthem, the melody of which is also used in an American patriotic hymn, "My Country, 'Tis of Thee"), a suggestion that US Army veteran John Miska made to Vice Chief of Staff General Cody, outside the British embassy in the city. A similar tribute had been made by the Queen in the days following the September 11 attacks in 2001 where the Star Spangled Banner played at Buckingham Palace's Changing the Guard. On 12 July, a Detroit Symphony Orchestra brass ensemble played the British national anthem during the pre-game festivities of the Major League Baseball All-Star Game at Comerica Park in Detroit. Flags were ordered to fly at half-mast across Australia, New Zealand and Canada. The Union Flag was raised to half-mast alongside the Flag of Australia on Sydney Harbour Bridge as a show of "sympathy between nations". Moments of silence were observed in the European Parliament, the Polish parliament and by the Irish parliament on 14 July. The British national anthem was played at the changing of the royal guard at Plaza de Oriente in Madrid in memorial to the victims of the attacks. The ceremony was attended by the British ambassador to Spain and members of the Spanish Royal Family. After the 2004 Madrid train bombings, the UK had hosted a similar ceremony at Buckingham Palace. Mohammed Rehman and Sana Ahmed Khan were sentenced to life imprisonment on 29 December 2015 for preparing an act of terrorism, planning to coincide with the tenth anniversary of the 7/7 attacks. They had 10 kg of urea nitrate. Rehman called himself the 'silent bomber' and asked his Twitter followers to choose between the Westfield Shopping Centre or the London Underground for the planned suicide bomb. ^ "7/7 Anniversary: UK's Risk of Terror Attack Higher Now than Days of London Bombings'". Yorkshire Post. 4 July 2015. ^ "I'm lucky to be here, says driver". BBC News. 11 July 2005. Archived from the original on 10 November 2006. Retrieved 12 November 2006. ^ North, Rachel (15 July 2005). "Coming together as a city". BBC. Retrieved 12 November 2006. ^ "Tube log shows initial confusion". BBC News. 12 July 2005. Retrieved 12 November 2006. ^ "Indepth London Attacks". BBC News. Retrieved 17 October 2009. ^ a b Campbell, Duncan; Laville, Sandra (13 July 2005). "British suicide bombers carried out London attacks, say police". The Guardian. Retrieved 15 November 2006. ^ a b "Suspected arson on 7/7 tribute bus 'Spirit of London'". BBC News. 20 October 2012. Retrieved 25 March 2013. ^ "Stagecoach relaunches 'Spirit of London' bus following arson attack – Stagecoach Group". stagecoach.com. ^ "The 52 victims of the 7/7 bombings remembered". 6 July 2015. Retrieved 25 August 2016. ^ Image of bombers' deadly journey, BBC News, 17 July 2005. Retrieved 3 December 2006. ^ Lewis, Leo (6 May 2007). "The jihadi house parties of hate: Britain's terror network offered an easy target the security sevices [sic] missed, says Shiv Malik". The Times. Archived from the original on 3 August 2010. Retrieved 2 August 2010. And how could Charles Clarke, home secretary at the time, claim that Khan and his associates were "clean skins" unknown to the security services? ^ "Police news conference: Full text". 2005-07-12. Retrieved 2018-12-30. ^ London bomber: Text in full, BBC, 1 September 2005. Retrieved 14 October 2010. ^ "Video of London bomber released". The Guardian. 8 July 2006. ^ Moghadam, Assaf (2011). "The United Kingdom and the 77 Bombings". The Globalization of Martyrdom: Al Qaeda, Salafi Jihad, and the Diffusion of Suicide Attacks. JHU Press. p. 199. ISBN 1421401444. ^ Video of London suicide bomber released, The Times, 6 July 2006. Retrieved 3 March 2007; a transcript of the tape is "available at Wikisource". Archived from the original on 13 October 2007. ^ "Incidents in London". United Kingdom Parliament. Retrieved 30 July 2008. ^ Lewis, Leo (17 July 2005). "Police snipers track al-Qaeda suspects". The Times. London. Archived from the original on 22 October 2006. Retrieved 3 December 2006. ^ McCue, Andy. "7/7 bomb rescue efforts hampered by communication failings". ZDNet UK. Retrieved 18 April 2012. ^ "London Assembly 7 July Review Committee, follow-up re port" (PDF). London Assembly. Archived from the original (PDF) on 7 January 2012. Retrieved 18 April 2012. ^ Lawrence, Dune (7 July 2005). "U.S. Stocks Rise, Erasing Losses on London Bombings; Gap Rises". Bloomberg L.P. Retrieved 3 December 2006. ^ "Banks talked via secret chatroom". BBC News. 8 July 2005. Retrieved 3 December 2006. ^ "Statistics on BBC Webservers 7 July 2005". BBC. Archived from the original on 3 July 2007. Retrieved 3 December 2006. ^ "Politics BNP campaign uses bus bomb photo". BBC News. 12 July 2005. Archived from the original on 26 October 2009. Retrieved 17 October 2009. ^ a b Sciolino, Elaine; van Natta, Jr., Don (10 July 2005). "For a Decade, London Thrived as a Busy Crossroads of Terror". The New York Times. Retrieved 8 July 2008. ^ Philips, Melanie. Londonistan. Encounter Books, 2006, p. 189 ff. ^ "Police appeal for bombing footage". BBC News. 10 July 2005. Archived from the original on 23 November 2006. Retrieved 3 December 2006. ^ Harrison, Frances (11 July 2005). "Iran press blames West for blasts". BBC News. Archived from the original on 20 November 2006. Retrieved 3 December 2006. ^ Bennetto, Jason; Ian Herbert (13 August 2005). "London bombings: the truth emerges". The Independent. Retrieved 3 December 2006. ^ Townsend, Mark (9 April 2006). "Leak reveals official story of London bombings UK news The Observer". Guardian. Retrieved 17 October 2009. ^ Nelson, Dean; Khan, Emal (22 January 2009). "Al-Qaeda commander linked to 2005 London bombings led attacks on Nato convoys". The Telegraph. Archived from the original on 30 January 2009. Retrieved 5 February 2009. ^ Johnston, Chris (9 July 2005). "Tube blasts 'almost simultaneous'". The Guardian. London. Retrieved 3 December 2006. ^ Soni, Darshna (4 June 2007). "Survey: 'government hasn't told truth about 7/7'". Channel 4 News. Retrieved 12 August 2009. ^ Honingsbaum, Mark (27 June 2006). "Seeing isn't believing". The Guardian. Retrieved 12 August 2009. ^ Soni, Darshna (4 June 2007). "7/7: the conspiracy theories". Channel 4 News. Retrieved 12 August 2009. ^ "Unmasking the mysterious 7/7 conspiracy theorist". BBC News Magazine. 30 June 2009. Archived from the original on 6 July 2009. Retrieved 12 August 2009. ^ "BBC4 Coincidence of bomb exercises? 17 July 2005". Archived from the original on 14 May 2007. Retrieved 14 May 2007. ^ Intelligence and Security Committee (May 2006). "Report into the London Terrorist Attacks on 7 July 2005" (PDF). BBC News. p. 11. ^ Vince, Gaia (15 July 2005). "Explosives linked to London bombings identified". New Scientist. ^ "List of the bomb blast victims". BBC News. 20 July 2005. Retrieved 7 July 2007. ^ Brian Lysaght and Alex Morales (5 June 2006). "London Bomb Rescuers Were Hindered by Communications". Bloomberg. Retrieved 5 August 2012. ^ Eggen, Dan; Scott Wilson (17 July 2005). "Suicide Bombs Potent Tools of Terrorists". The Washington Post. Retrieved 3 December 2006. ^ Muir, Hugh; Rosie Cowan (8 July 2005). "Four bombs in 50 minutes – Britain suffers its worst-ever terror attack". The Guardian. London. Archived from the original on 17 December 2007. Retrieved 3 December 2006. ^ "London bombers 'were all British'". BBC News. 12 July 2005. Retrieved 3 December 2006. ^ "One London bomber died in blast". BBC News. 12 July 2005. Archived from the original on 16 December 2006. Retrieved 3 December 2006. ^ Bennetto, Jason; Ian Herbert (13 July 2005). "The suicide bomb plot hatched in Yorkshire". The Independent. London. Retrieved 3 December 2006. ^ Leppard, David (17 July 2005). "MI5 judged bomber 'no threat'". The Times. London. Retrieved 3 December 2006. ^ "Three held over 7 July bombings". BBC News. 22 March 2007. Archived from the original on 11 January 2010. Retrieved 1 January 2010. ^ a b "Police quiz 7 July bomber's widow". BBC News. 9 May 2007. Retrieved 1 January 2010. ^ "UK Man bailed over 'al-Qaeda manual'". BBC News. 21 May 2007. Retrieved 17 October 2009. ^ "UK Race hate cleric Faisal deported". BBC News. 25 May 2007. Retrieved 17 October 2009. ^ "England London , 'Hate preacher' loses his appeal". BBC News. 17 February 2004. Retrieved 17 October 2009. ^ "Islamic leader had warned of attack". Gulf Times. Archived from the original on 3 September 2009. Retrieved 17 October 2009. ^ Sherwell, Philip; Gardham, Duncan (23 November 2009). "Fort Hood shooting: radical Islamic preacher also inspired July 7 bombers". The Daily Telegraph. London. ^ Carter, Helen; Dodd, Vikram; Cobain, Ian (3 May 2007). "7/7 leader: more evidence reveals what police knew". The Guardian. London. Retrieved 17 October 2009. ^ Dodd, Vikram (3 May 2007). "7/7 leader: more evidence reveals what police knew". The Guardian. London. Retrieved 20 December 2007. ^ "Coroner's Inquest into the London bombings of 7 July 2005". 7julyinquests.independent.gov.uk. Retrieved 15 July 2012. ^ "7/7 bombs acts of 'merciless savagery', inquests told". BBC News. 11 October 2010. Retrieved 15 May 2012. ^ "7/7 inquest – WMS". Home Office. 9 May 2011. Retrieved 16 September 2011. ^ "7/7 inquests: Emergency delays 'did not cause deaths'". BBC News. 6 May 2011. ^ Owen, Paul (6 May 2011). "7/7 inquest verdict – Friday 6 May 2011". The Guardian. London. ^ "News of the World 'hacked 7/7 family phones'". BBC News. 6 July 2011. ^ Hutchinson, Lisa (7 July 2011). "Tyneside 7/7 bombings survivor Lisa French has been contacted by detectives investigating News of the World phone hacking scandal". ChronicleLive. Archived from the original on 1 February 2012. Retrieved 16 September 2011. ^ "London bombing survivor threatens to sue over hacking". Kent News. 8 July 2011. Archived from the original on 12 August 2011. Retrieved 16 September 2011. ^ Susan Ryan (7 July 2011). "Warnings of potential Irish victims of NOTW phone hacking". Thejournal.ie. Retrieved 16 September 2011. ^ (7 July 2005). "Union Flag to Fly at Half-Mast". UTV. Retrieved 4 September 2007. ^ (10 July 2005). "Europe to Mark Tragedy With Two Minutes of Silence". The Guardian. Retrieved 4 September 2007. ^ (1 November 2005). "Tributes Paid to Bombing Victims". BBC. Retrieved 4 September 2007. ^ (7 July 2006). "Nation Remembers 7 July Victims". BBC News. Retrieved 4 September 2007. ^ "Tributes paid at 7 July memorial". BBC News. 7 July 2009. ^ Tran, Mark (7 July 2014). "7/7 survivors condemn defacement of memorial on ninth anniversary". The Guardian. Retrieved 7 July 2014. ^ "President Signs Book of Condolence at British Embassy". White House. 8 July 2005. Retrieved 16 April 2008. ^ (7 July 2005). "U.S. raises terror alert for transit systems – 7 July 2005". CNN. Retrieved 16 April 2008. ^ Graves, David (14 September 2001). "Palace breaks with tradition in musical tribute". The Telegraph. Telegraph Media Group. Retrieved 7 March 2019. ^ Dodd, Mike (13 July 2005). "Rating the game: Clemens, dugout humor spice it up". USA Today. Retrieved 15 January 2010. ^ (8 July 2005). "No Known New Zealand Casualties in London". tvnz.co.nz. Retrieved 4 September 2007. ^ (1 September 2005). "Half Masting of the Flag Archived 5 November 2005 at the Wayback Machine". Canadian Heritage. Retrieved 4 September 2007. ^ (3 September 2009). "". Australian National Flag Association. Retrieved 6 February 2011. ^ (12 July 2005) "Government Calls for Two Minutes Silence", and in Cyprus. Department of the Taoiseach. Retrieved 4 September 2007. ^ (13 July 2005). "Spain Royal Guard Honours London". BBC. Retrieved 4 September 2007. 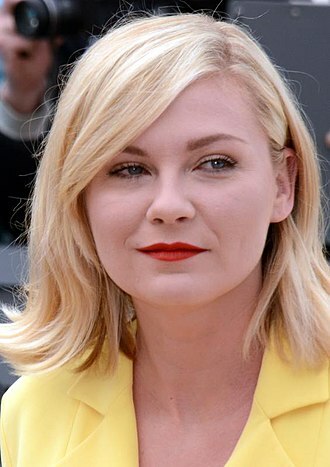 ^ Caroline Mortimer (30 December 2015). "'Silent Bomber' Mohammed Rehman and wife Sana Ahmed Khan sentenced to life in prison for London terror plot". The Independent. Retrieved 6 June 2017. ^ Bowcott, Owen (29 December 2015). "Couple found guilty of 7/7 anniversary London bomb plot". The Guardian. ISSN 0261-3077. Retrieved 15 January 2016. The Jon Gaunt show[permanent dead link] originally broadcast live at 9:00 am on 7 July 2005 on BBC London. First mention of events at approximately 27 minutes into the broadcast. The station opened in 1874 as a replacement for Bishopsgate station as the Great Eastern Railways main London terminus. By 1895 it had the largest number of platforms on any railway station in London. During the First World War, an air raid on the station in 1917 led to 162 deaths, in the build-up to the Second World War, the station served as the entry point for thousands of child refugees arriving in London as part of the Kindertransport rescue mission. Liverpool Street was built as a station with provision for the Underground. A tube station opened in 1875 for the Metropolitan Railway, and the station today is served by the Central, Hammersmith & City and Metropolitan lines, Liverpool Street is the third-busiest railway station in the United Kingdom after Waterloo and Victoria, both in London. It is managed directly by Network Rail, a few daily express trains to Harwich International provide a connection with the Dutchflyer ferry to Hook of Holland. Stansted Express trains provide a link to Stansted Airport and Southend Victoria-bound services stop at Southend Airport, most passenger services on the Great Eastern Main Line are operated by Greater Anglia. Since 2015, the Shenfield metro service has been controlled by TfL Rail, a small number of late-evening and weekend services operated by c2c run via Barking. The station is split into two halves, the west side for the Lea Valley Lines services and the east side for services via Stratford. The typical off-peak weekday service pattern from Liverpool Street is, Liverpool Street station was built as the new London terminus of the Great Eastern Railway which served Norwich, the GER had been formed from the merger of several railway companies, inheriting Bishopsgate as its London terminus. Consequently, the GER planned a more central station, the station was planned to be around 630 by 200 ft in area, with its main façade onto Liverpool Street and an additional entrance on Bishopsgate-Street. The line and station construction were authorised by the Great Eastern Railway Act 1864, the station was built on a 10 acres site previously occupied by the Bethlem Royal Hospital, adjacent to Broad Street station, west of Bishopsgate and facing onto Liverpool Street to the south. Warren Street is a London Underground station, located at the intersection of Tottenham Court Road and Euston Road, named after Warren Street. It is on the Charing Cross branch of the Northern line and it is in Travelcard Zone 1 and is the nearest tube station to University College Hospital, being opposite the newly opened main building. It is close to Euston Square on the Circle, Hammersmith & City and Metropolitan lines. The station opened as part of the original Charing Cross, Euston & Hampstead Railway on 22 June 1907 under the name Euston Road, the platforms were built on the outside of the running lines. The stations name changed to Warren Street the following year, in 1934, the current station building replaced the original when escalators were installed. The Victoria line platforms opened on 1 December 1968, as part of introducing automatic ticket gates with the Victoria line, the ability to freely interchange with Euston Square station was withdrawn on 1 March 1969. To facilitate this, the Victoria line tracks had to switch from the standard left-hand running to right-hand, the Victoria line platforms at Kings Cross St. Terrorism in the United Kingdom, according to the Home Office, poses a significant threat to the state. 1834 people were arrested in the United Kingdom from September 2001 to December 2009 in connection with terrorism, the British government has designated 58 organisations as terrorist and banned them. 44 of these organisations were banned under the Terrorism Act of 2000, two of these were banned under the Terrorism Act of 2006 for glorifying terrorism. Other than the far-right neo-Nazi National Action, the other fourteen organisations operate in Northern Ireland, and were banned under previous legislation. In recent history, the UK security services have focused on the threat posed by radical Islamic militant organisations within the UK, around half were born in the United Kingdom, the majority are British nationals and the remainder, with a few exceptions, are in the country legally. Most UK terrorists are male, but women are aware of their husbands. While the majority are in their early to mid-20s when they become radicalised and those over 30 are just as likely to have a wife and children as to be loners with no ties. MI5 says this challenges the idea that terrorists are young Muslim men driven by sexual frustration and those involved in British terrorism have educational achievement ranging from total lack of qualifications to degree-level education. However, they are almost all employed in low-grade jobs, far from being religious zealots, a large number of those involved in terrorism do not practise their faith regularly. Many lack religious literacy and could actually be regarded as religious novices, very few have been brought up in strongly religious households, and there is a higher than average proportion of converts. Some are involved in drug-taking, drinking alcohol and visiting prostitutes, the memo says Home Office officials believe detection of weapons and explosives will become easier. The social acceptability of routine intrusive detection measures and the response required in the event of an alarm are likely to be limiting factors. The Home Office did not comment on the memo, may admitted that although the threat level had been hiked to the second-highest possible, there was no intelligence warning of an imminent attack. London has an extensive and developed transport network which includes both private and public services. Journeys made by transport systems account for 25% of Londons journeys while private services accounted for 41% of journeys. Londons public transport network serves as the hub for the United Kingdom in rail, air. Public transport services are dominated by the agency for transport in London. TfL controls the majority of transport, including the Underground, Tramlink, the Docklands Light Railway, London River Services. Other rail services are either franchised to train operating companies by the national Department for Transport, TfL controls most major roads in London, but not minor roads. In addition, there are several independent airports operating in London, including Heathrow, early public transport in London began with horse-drawn omnibus services in 1829, which were gradually replaced by the first motor omnibuses in 1902. Over the years the companies which began these services amalgamated with the London General Omnibus Company to form a unified bus service. The Underground Group became part of the new London Passenger Transport Board in 1933, Underground trains, the London Transport name continued in use until 2000, although the political management of transport services changed several times. The LPTB oversaw transport from 1933 to 1947 until it was re-organised into the London Transport Executive, responsibility for London Transport was subsequently taken over to the London Transport Board, the Greater London Council and London Regional Transport. Following the privatisation of London bus services in 1986, bus services were spun off to a separate operation based on competitive tendering, Transport for London operates three different railway systems across London. The largest is the London Underground, a transit system operating on sub-surface lines. TfL operates the Docklands Light Railway, a light rail system in the east of the city. The London Underground and the DLR account for 40 percent of the journeys between Inner London and Outer London, making them the most highly used systems in all of London and these three systems extend to most points of London, creating a comprehensive and extensive system. The 7 July 2005 London bombings were a series of suicide attacks carried out by homegrown terrorists on Londons public transport network during the morning rush hour. Over the following hours and days there were security alerts throughout the United Kingdom. London largely returned to normality in the days, though with several further security alerts. Cabinet Office Briefing Room A was activated within minutes of the first reports of explosions, the London Underground was closed in the hours following the attacks, and did not re-open until the following day, with a reduced service. The Circle line, and the Piccadilly line between Hyde Park Corner and Holloway Road, remained closed, several other lines remained disrupted in the areas affected. Security alerts were causing disruption, the entire London Buses network was suspended on 7 July, with all buses sent back to depot for security checks. Eventually, services outside Zone 1 in central London returned to operations, services returned to normal on 8 July, except through affected areas. All major Network Rail stations in London closed on the morning of 7 July, kings Cross remained closed until 8 July. Most national rail services terminated outside London, with Great North Eastern Railway trains stopping at Peterborough, the London Ambulance Service reported that they would only be sending ambulances to patients across the capital with life-threatening illnesses or injuries. The Metropolitan Police Service urged people not to enter London, schools in the capital did not close on 7 July, as police thought it safer for children to remain in classes. On 8 July, most schools in central London were closed due to transport difficulties, in London, security responses saw major buildings such as the Houses of Parliament and Buckingham Palace sealed off. 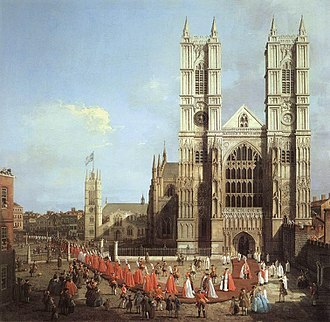 Most landmarks such as the London Eye and Westminster Abbey were closed, All theatre productions in the West End were cancelled, as were several concerts. The Bank of England commenced financial continuity plans, to keep the system operational. Central London is the innermost part of London, UK. 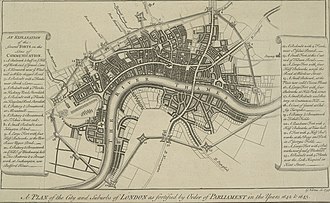 Over time a number of definitions have been used to define the scope of central London for statistics, urban planning and local government. 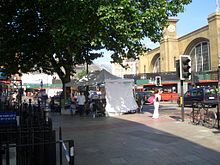 From 2004 to 2008, the London Plan included a sub-region called Central London comprising Camden, Islington and Chelsea, Southwark, Wandsworth and it had a 2001 population of 1,525,000. The sub-region was replaced in 2008 with a new structure which amalgamated inner and outer boroughs together and this was altered in 2011 when a new Central London sub region was created, now including the City of London and excluding Wandsworth. However, districts at the edge of this subregion such as Streatham, Dulwich. During the Herbert Commission and the subsequent passage of the London Government Bill, the first two were detailed in the 1959 Memorandum of Evidence of the Greater London Group of the London School of Economics. It had an population of 350,000 and occupied 7,000 acres. The area had an population of 400,000 and occupied 8,000 acres. Khan bombed the Edgware Road train killing himself and five other people. On 1 September 2005, a videotape emerged featuring Khan, the videotape, shown by Al Jazeera Television, shows Ayman al-Zawahiri, who is the highest leader of al-Qaeda. The two men do not appear together, and the British government says that Al Qaeda was not connected with the bombing, the Home Office believes the tape was edited after the suicide attacks and dismisses it as evidence of al-Qaedas involvement. He goes on to say, Your democratically elected governments continually perpetrate atrocities against my people all over the world and your support makes you directly responsible. We are at war and I am a soldier, now you too will taste the reality of this situation. Born in St Jamess University Hospital, Khan grew up in Beeston but moved to Lees Holm in Dewsbury and his father, Tika Khan, a foundry worker, was born in Pakistan. He received his education at South Leeds High School, formerly the Matthew Murray High School. After completing his education, he moved to Leeds Beckett University, formerly Leeds Metropolitan University. It was during this time that he met his wife, in 1999 he came under the influence of radical cleric Abdullah el-Faisal. Khan worked at Hillside Primary School in Leeds as a mentor with the children of immigrant families who had just arrived in Britain. Khans colleagues commented that he was an individual who did not talk about his religious or political beliefs. Khan was involved in the community-run Hamara Healthy Living Centre in Beeston, and worked at its youth outreach project, staff at the centre have confirmed that two of the London bombers, Shehzad Tanweer and Hasib Hussain, frequented the HYAP. Khan used the project as a recruitment centre, according to a friend of his who spoke to The Guardian. His mother-in-law, Farida Patel, is involved in education. She was said to have been devastated by the actions of her son-in-law, mohammad Sidique Khan reportedly postponed the event from 6 July 2005 because he had to take his pregnant wife to the hospital. The Piccadilly line /ˌpɪkəˈdɪli/ is a line of the London Underground, coloured dark blue on the Tube map. It is the fourth busiest line on the Underground network on the basis of the number of passengers transported per year with 210,000,000. It is mainly a deep-level line, running from the north to the west of London via Zone 1, with a number of surface sections and it is named after the road above it between Hyde Park Corner and Piccadilly Circus. Some of its stations are shared with the District line and some are shared with the Metropolitan line and it is the second longest line on the system, after the Central line, and has the second most stations, after the District line. The GN&SRs and B&PCRs separate routes were linked with a section between Piccadilly Circus and Holborn. A section of the District Railways scheme for a tube line between South Kensington and Earls Court was added in order to complete the route. When the GNP&BR was formally opened on 15 December 1906, the line ran from the Great Northern Railways station at Finsbury Park to the District Railways station at Hammersmith. On 30 November 1907, the branch from Holborn to the Strand opened. In 1905, plans were made to extend it the distance south under the River Thames to Waterloo. Although built with twin tunnels, single track shuttle operation became the norm on the branch from 1918 on, on 1 July 1910 the GNP&BR and the other UERL-owned tube railways were merged by private Act of Parliament to become the London Electric Railway Company. On 10 December 1928, a rebuilt Piccadilly Circus station was opened, There had been deputations made to Parliament asking for an early extension of the line either towards Tottenham and Edmonton or towards Wood Green and Palmers Green. The early 1930s was a time of recession, and in order to relieve unemployment, government capital was made available, the chief features of the scheme were an extension northwards from Finsbury Park to Cockfosters. However, a Ventilation station, in architectural style to tube stations of the time was provided at the site. There was opposition from the London and North Eastern Railway to the line. Osman Hussain was found guilty of having placed an explosive at the Shepherds Bush tube station during the failed 21 July 2005 London bombings. Born in Ethiopia, Hussain is a naturalised British citizen married to Yeshshiemebet Girma, on 29 July 2005, he was arrested during a 40-officer raid at his brother-in-laws apartment in Rome, after mobile phone calls led police to believe he was hiding there. He was extradited to the UK in September under a European Arrest Warrant and he stood trial along with five other suspects. During the initial investigation in Rome, Hussain said he was motivated to participate in the attacks after viewing videos of war-torn Iraq, I am against war, Osman said. Ive marched in rallies and nobody listened to me. I never thought of killing people and he explained that the bombs were never meant to detonate or kill anybody, only to draw attention to the Iraq war. Hussain was alleged to have stated, More than praying we discussed work, politics and we always had new films of the war in Iraq. A suicide attack is a violent attack in which the attacker expects to die in the process. They constituted only 4% of all terrorist attacks around the world over one period, ninety per cent of those attacks occurred in Afghanistan, Israel, the Palestinian territories and Sri Lanka. Overall, as of mid-2015 about three-quarters of all suicide attacks occurred in just three countries, Afghanistan and Iraq, the motivation of suicide attackers varies. Kamikaze acted under orders and were motivated by obedience and nationalism. Before 2003, most attacks targeted forces occupying the attackers homeland, anthropologist Scott Atran states that since 2004 the overwhelming majority of bombers have been motivated by the ideology of Islamist martyrdom. Academic Fred Halliday, has written that assigning the descriptor of terrorist or terrorism to the actions of a group is a used by states to deny legitimacy and rights to protest. The definition of suicide is another issue, Suicide terrorism itself has been defined by one source as violent actions perpetrated by people who are aware that the odds they will return alive are close to zero. It may not always be clear to investigators which type of killing is which, the usage of the term suicide attack goes back a long way but suicide bombing dates back to at least 1940 when a New York Times article mentions the term in relation to German tactics. 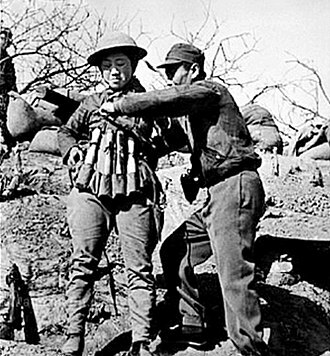 Less than two years that newspaper referred to a Japanese kamikaze attempt on an American carrier as a suicide bombing, sometimes, to assign either a more positive or negative connotation to the act, suicide bombing is referred to by different terms. Istishhad Islamist supporters often call a suicide attack Istishhad, and the suicide attacker shahid, the idea being that the attacker died in order to testify his faith in God, for example while waging jihad bis saif. The term suicide is never used because Islam has strong strictures against taking ones own life, the terms Istishhad/martyrdom operation have been embraced by the Palestinian Authority, and by Hamas, Al-Aqsa Martyrs Brigades and other Palestinian factions. The first to use the term for an audience was White House Press Secretary Ari Fleischer in April 2002. Ground plan of expanded station (1895). At the time, Liverpool Street had the largest number of platforms of any London terminus station. London Underground's Jubilee line at Green Park station.